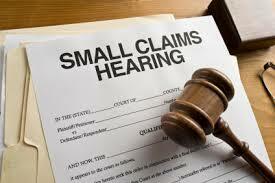 Is Small Claims Court Appropriate? Very few of us who have been in business very long have avoided having a client or customer refuse to pay their bill. It’s a fact of business life that every now and then disputes arise that just won’t go away. The problem is that to hire an attorney to obtain payment of relatively small sums frequently costs more than the amount of the debt. It just doesn’t make economic sense. In California, the Small Claims Court system is designed to fill this gap. To account for the rising cost of living, and the constantly growing economy the jurisdiction of California small claims courts has risen from $500 to $10,000 for individuals over the last 30 years. The limit for businesses which are not sole proprietors is $2,500. To hire an attorney to go to court for you for a $10,000 claim would probably cost $7,500, if the mater went to trial. This is because in order to win just about any kind of law suit an attorney has to be highly prepared. He or she will have to know what the other side will say in trial and who will be testifying. That is called the discovery process and can take years to complete. Interrogatories, written questions, are exchanged, and depositions taken to nail down what will be said in court. Once discovery is completed, and final trial preparation begins, I will spend over two hours at my desk preparing for each hour of trial time. That means that for a 4-hour trial, it will cost at least $1,500 in my trial time, and I will have spent an additional $2,400 to $3,000 just on the final preparations. This is addition to however many hours I have spent in discovery. You can see how that can eat away at any potential recovery. Small claims courts are restricted in the kind of relief they can provide litigants. 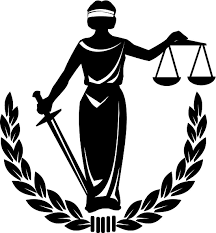 They can award money judgments but have no equitable powers. That means that while they can award damages for a trespass, they cannot issue an injunction enjoining further trespasses. But for money damage claims, breach of contract actions for instance, the small claims court can enter a judgment that can be enforced like any other judgment. Small claims courts generally all operate the same in California. The judges are “pro tem”, meaning that they have not been elected or appointed by the governor to the Superior Court bench. Typically they are experienced Sonoma County trial lawyers with years of experience in court. They are appointed by the Superior Court in each county. Each pro tem judge must take classes on how to be a judge, and they have to continue their education in that area over the period of their service. Lawyers are not permitted to represent individuals in small claims court. Lawyers can represent themselves if they are a litigant. Insurance adjusters are permitted to represent insurance companies and corporate officers can represent their corporations. The filing fee for a small claims complaint ranges from $30 to $75, depending on the amount claimed. Once you file a complaint the other person, the defendant must be served. The plaintiff, the person filing the complaint, cannot perform the service. Another person, over the age of 18, can serve the defendant. Otherwise, in most counties, the sheriff will serve the complaint on the defendant. Once you obtain a judgment you can enforce it in the same manner as any other judgment. You can garnish the defendant’s wages, attach his or her property, or place a lien on his or her home and wait until the residence is sold to get paid. Judgments earn 10% simple interest per year and will double the amount owed every 8 years. Sonoma County Attorneys about Small Claims Court.